Crawling seems like an infant’s rite of passage. It’s cute, it’s exciting and let’s be honest, most of our little ones’ first step toward mobility usually follows a slew of phone calls to loved ones and ends up on social media. It’s a step we assume every child will take. But with a growing number of children skipping this step, the debate has sparked whether or not this milestone is necessary for development. What we have found at our center is crawling is essential and even critical for a baby’s early development. It could mean the difference between them holding a pencil later in school, having the right upper body strength to pull themself up from the floor, or getting that lateral movement the brain needs to eventually read, write, and comprehend. Even outside of education, there is a wealth of benefits your child can reap if they learn to crawl. Physical. The physical benefits are plenty. Crawling boosts gross and fine motor skills (large and refined movements), balance, hand-eye-coordination and overall strength are just a few. The development and refinement of these skills will assist your child later in life with activities such as running, jumping, writing, fastening clothes, and throwing balls. The strength they build also boosts their posture and preps them for walking. Spatial. Who would have thought that crawling could improve a child’s problem solving skills? As a child maneuvers around, they discover distance and placement of objects. Through trial and error they’ll also learn that they need to route themselves around obstacles that cannot be scaled or crawled through. So they create a new path and voila they have just developed and implemented basic problem solving skills. Visual. Discovering distance and placement of objects also assists with a child’s vision. Examining a distant object and then refocusing on their hands in order to reach that object forces their eyes to adjust to the varying distances and encourages the eyes to work together. This development helps with later skills such as catching, driving, or copying words off a board. Mental. Have you ever heard of the right and left side of the brain? Well, in order to function at our best, these two sides need to be in full communication with one another and their ability to communicate is not an entirely inborn skill. There are things we have to do to encourage these two sides to work together and crawling is a huge step. The movements required to crawl cause the two sides of the brain to interact which, in turn, improves coordination. Another mental benefit and one of my personal favorites to witness is the self-confidence. A child learns about taking risks and the failure and success that comes from those risks. They also learn to make decisions about destination and speed, and the pleasure of achieving goals. This is an easy benefit to witness as children grow more elaborate and determined in their movements. The smiling and clapping that follows reaching their favorite toy or person doesn’t hurt either. 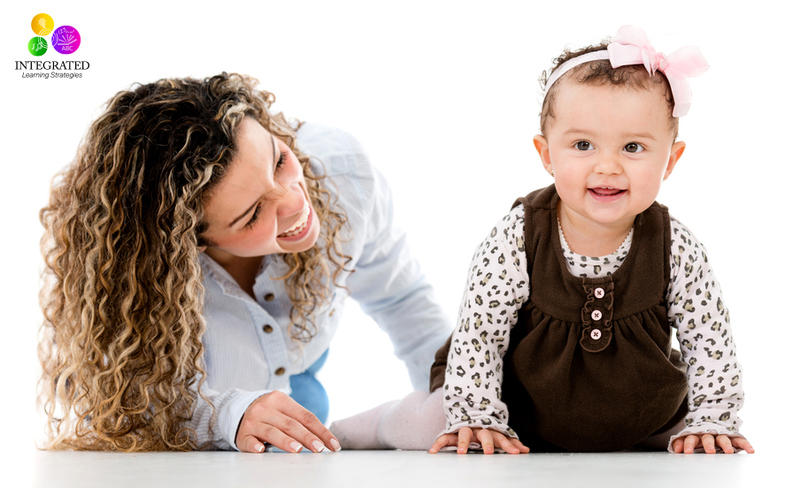 Now that you know the importance of helping your baby crawl from the time they are babies, you are probably wondering how to encourage them to crawl instead of jumping right into the walking phase. Tummy Time. A great place to start is to ensure your baby gets plenty of tummy time. Tummy time allows babies to rock back and forth, which helps them get a better feel for the movement of crawling. It also allows them to stretch, play with toys and explore their surroundings. More importantly, tummy time gives your baby an opportunity to raise their head to strengthen those head and neck muscles. Too much back time can flatten the baby’s skull and create a misshaped head. Find a good place on the floor without sharp or hazardous objects around and put a soft blanket underneath them. If your child hates tummy time, try getting down on the floor with them to make it more fun. Talk with them or put a mirror in front of their face so they can have fun looking at their own reflection. Squeaky toys capture their attention or putting their favorite toy further away from them peaks their curiosity of crawling toward it. Toys. 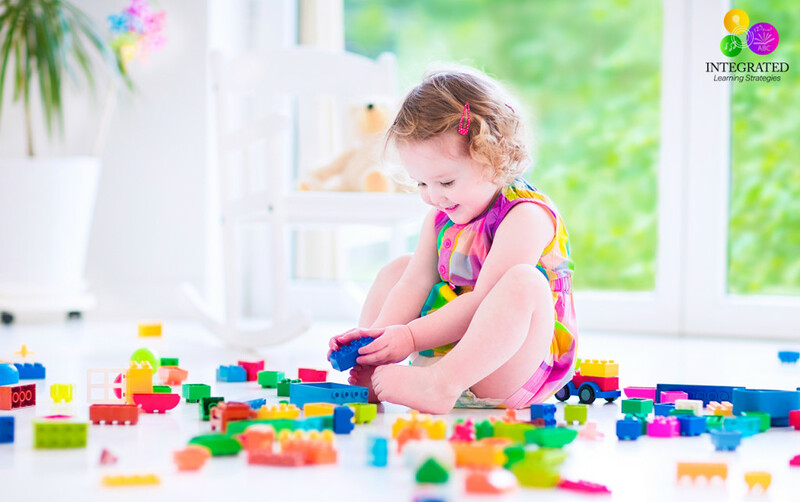 Toys are one of the most enticing things to encourage your baby to crawl. Push-a-long toys help babies become curious about crawling after them or if you roll a soft ball along the floor, it encourages them to chase after the ball. Obstacle Course. Try making an obstacle course out of soft pillows and cushions for your baby to climb and crawl over. You can also chase them on your hands and knees through the obstacle course to build their self-confidence in crawling. Crawling Types. There is no right or wrong way to get your baby to crawl, but there are different types of crawling you should encourage your baby to do. 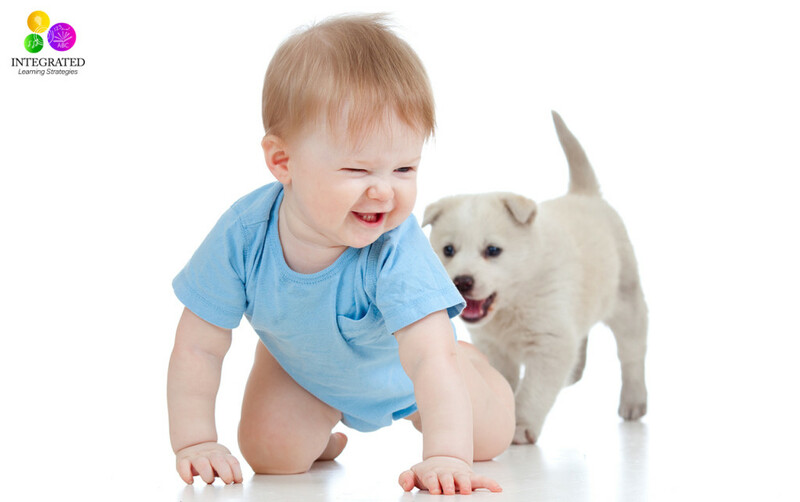 There is the traditional crawling method of moving forward, but you should also get your child to crawl backward. This works different muscles, encourages more head and neck movement, and gets them to move their legs in different patterns. 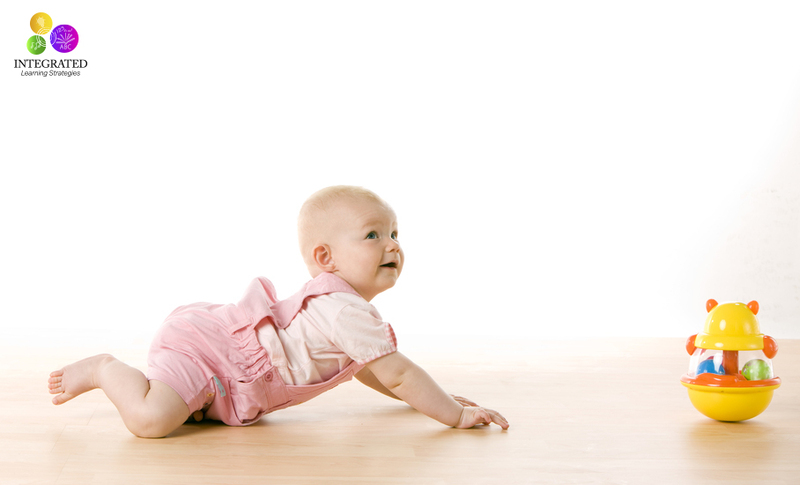 As your baby begins mastering crawling, get them to do a bear crawl across the floor. Bear crawling is crawling with their arms and legs straight, rather than bent. You can also get them to do the bum shuffle across the floor on their bum cheeks. All of these exercises help your child build their fine and gross motor skills. These are some great points on the importance of crawling, things I never thought of when my boys were little. Ill be passing this along to some new mommas. When I was teaching, there was a saying circulating about babies who crawl are readers…I never thought much of it, and all 4 of my kiddos were crawlers, and the 3 old enough to read are excellent readers. Food for thought! So good to know! I had no idea how important crawling was! Love all of this information. I had been reading elsewhere about what a huge milestone it is and how crucial it was to development later down the road! Thanks for sharing! Out of four kids, only one of mine skipped crawling. She scooted around instead. I so thankful my boys naturally were crawlers… are there ways to get some of the same benefits for kids with disabilities that don’t allow them to crawl? Yes, absolutely! I’ll get you the information for some additional resources! Great post! I love that every stage has significance! I found this so fascinating! Thanks for sharing! All 3 of mine were crawlers, though my youngest crawled with just one leg. It was weird, she had this super muscular leg and a skinny one. I took her to the doctor, but we just watched her. As soon as she started walking, her legs evened out. I’m not sure why she just used one leg to motorize her crawling. This is great information. My youngest only crawled for a short time before he learned to walk. I am pretty glad he crawled for a little bit at least. Absolutely! As long as he hit that crawling stage, even for a short time, that is what is most important. I’ll definitely remember this for when we have a baby!! I disagree with your article. I know there’s been a lot of research on crawling before walking and why babies shouldn’t skip this milestone. However, in our family, almost no one crawled before they walked: aunts, uncles, cousins, my parents, myself, and my children (despite a lot of tummy time). In fact, the only child of my three who crawled before he walked has Autism. Just food for thought. Great response! Thank you so much for the feedback and I appreciate your openness and candid information. While I do believe there are many kids out there that skip the walking phase and do just fine, we see several kids at our center that haven’t developed those gross and fine motor skills needed for higher learning. I hope that all children turn out as great as your family members did. It just depends on the child and we want to create as much awareness as possible about the development stages we have seen needed for learning so the child’s education isn’t hindered later in life. We’ve worked with several Occupational Therapists and Neuropsychologists that encourage these types of activities to prep the brain for higher learning. I’m so glad that you had positive experiences with the opposite perspective and shared your response with us. We appreciate all the information you’ve provided. Cool post – I’ll need to remember this when I have kids! Great to know! I didn’t realize how important this phase is! One of my friends’ daughters never crawled and she has back problems now, they think in part because of that. This is great information! Thanks for sharing this info. I wasn’t aware of this before. Thank you so much! Will keep this great information for when we are ready to have our own! We don’t have kids yet, but this is definitely good info to think about for the future!! Thank you for sharing!